Why 4k? It's the next evolution, a viral social media trend in TV viewing. But what exactly is 4k? Simply put; a 4K TV has 4times as many pixels as the current HDTV models. Your television is made up of super tiny dots called pixels, these pixels line up like a grid on your TV that lights up to create the image on your screen. A few disadvantages are that most cable companies are only broadcasting in 720 and 1080p so it really is a waste of money buying 4k TVs﻿. Except that now many people stream and have cut the cord entirely for cable. It's dying and so is not reflective of many people's actual viewing habits. Most cable is broadcast in lower resolutions, since many of the streaming services now have 4k content and broadcasters beyond US cable are starting to broadcast in 4K.﻿ I've been using 1080p(on all my devices) for different reasons-a: slow internet connection(no fibre optic cable connected to my house) b: abysmal amount of content in 4K like movies/tv shows/Youtube videos etc. c: I got mid range computer and it wouldn't run games well on 4K d: price- I don't really need it for anything for before mentioned reasons. While for some it's objectively not worth paying extra.﻿ The more pixels, means better picture. Current HD resolution is made up of 1080 rows of mega pixels by 1920 columns of pixels, which equals to 2.3 millions pixels. The price ranges from $600-$8000 and after doing a comparison; Walmart seem to have the best prices with more options. 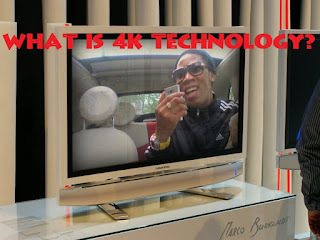 The advantages are that 4k resolution has close to 4000 rows and 2160 columns which produces around 8.3 million pixels. That's 4 times more pixels than current HDTV. What does it all mean? 4 times the pixel means sharper, richer and crystal clear viewing from almost any angle. You will even be able to sit closer to the screen, without loosing any resolution. Most importantly it leads to a more immerse viewing experience. And that is why 4k.